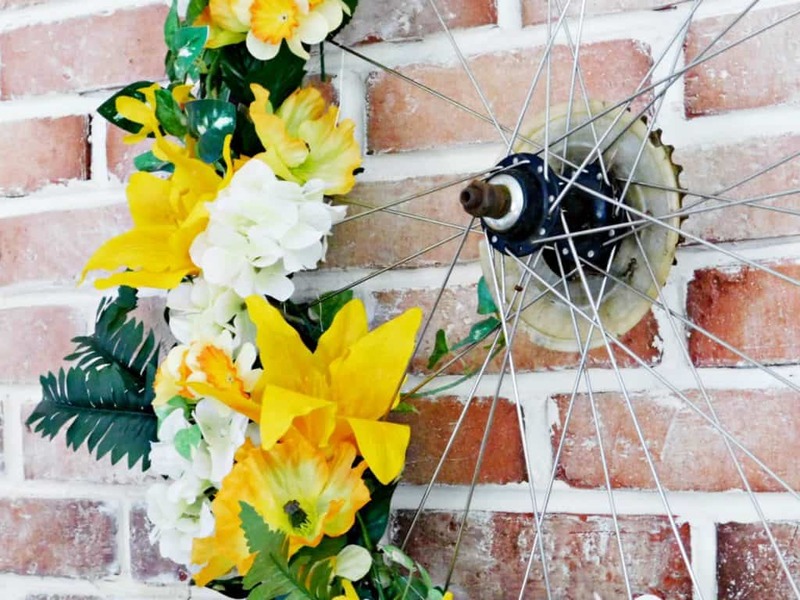 Make this recycled bicycle wheel wreath with an old bike wheel and some fake flowers from the dollar store. 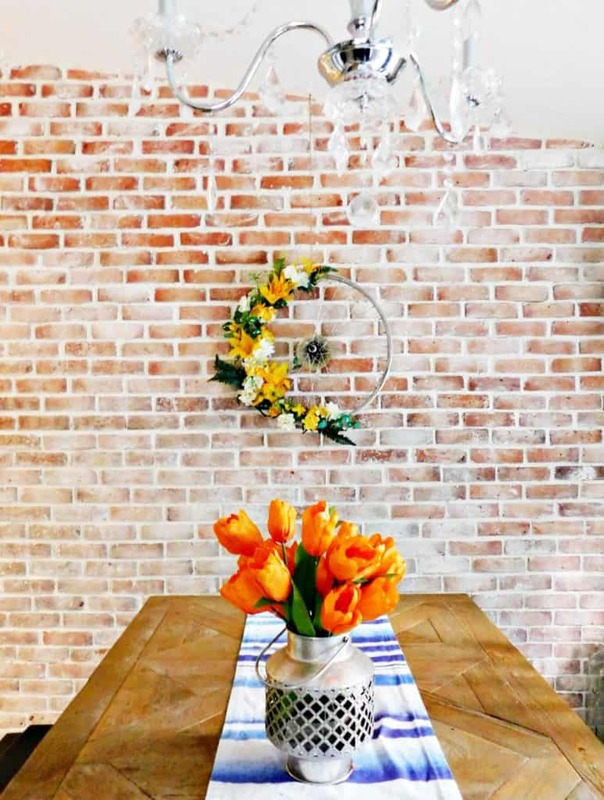 String it all together with some floral wire and a little hot glue and you’ve got yourself a unique spring wreath. I feel like so many of my craft projects start out the same. 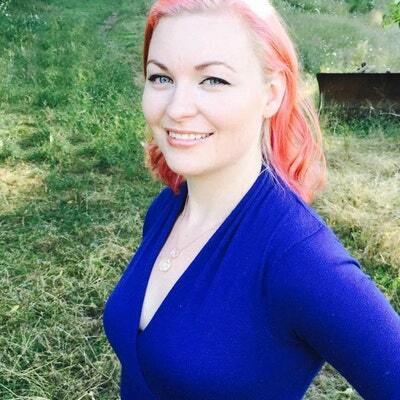 I will be out for a walk on our farm and find some old piece of “junk” and get inspired to turn it into a funky home decor project or fun yard art. I found an old bike wheel out in the junk pile on our property and asked my mother in law if I could use it. I brought it back to our house where it sat on the front porch for a few days. 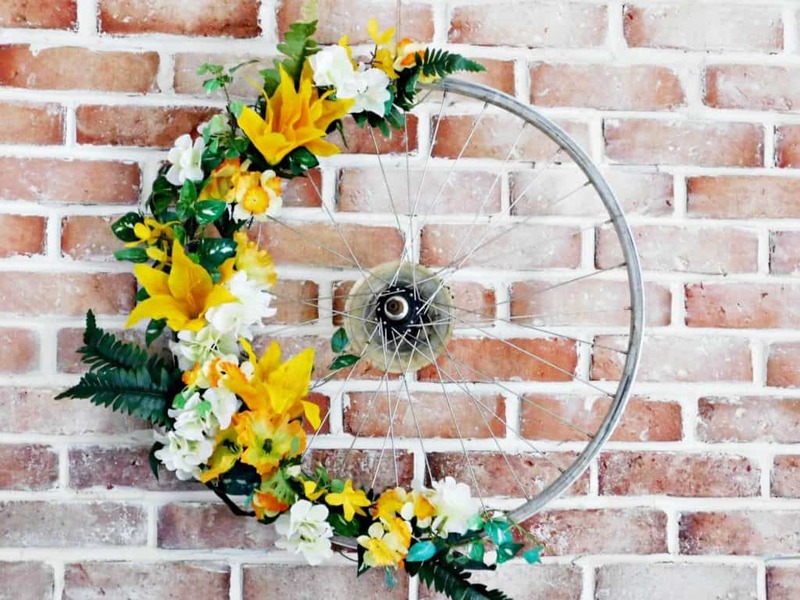 Doesn’t this old bike wheel scream “spring wreath” to you? 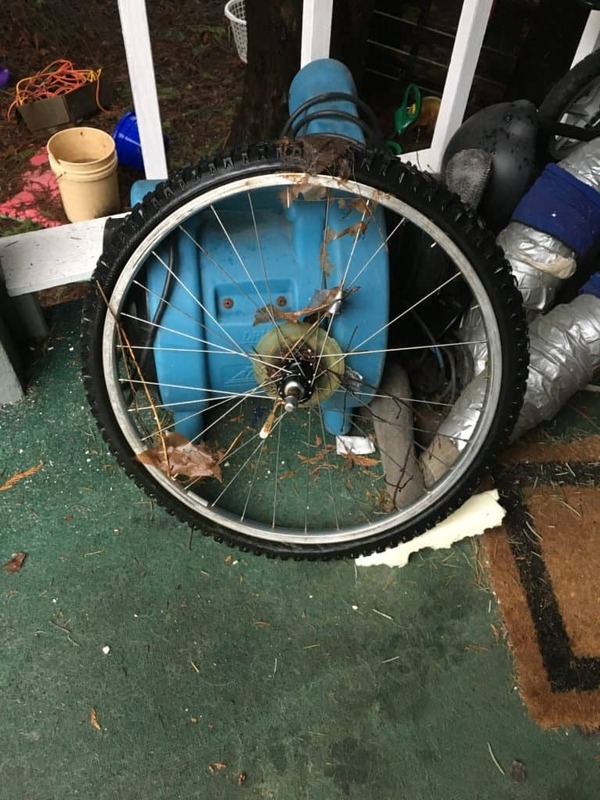 My husband saw it and asked why there was a bike wheel sitting on the front porch. My husband didn’t even bat an eyelash. At this point he’s so used to my weird projects he just nodded. “Oh I’m sure it will.” I guess the people in my life are used to my recycled craft shenanigans. The only difficult part of this project is removing the tire from the wheel and even that isn’t very hard. I started by cutting away as much of the tire as I could with a Ginsu kitchen knife and then used scissors to help cut into the other parts. Once I got through all the tire layers the whole thing peeled right off. 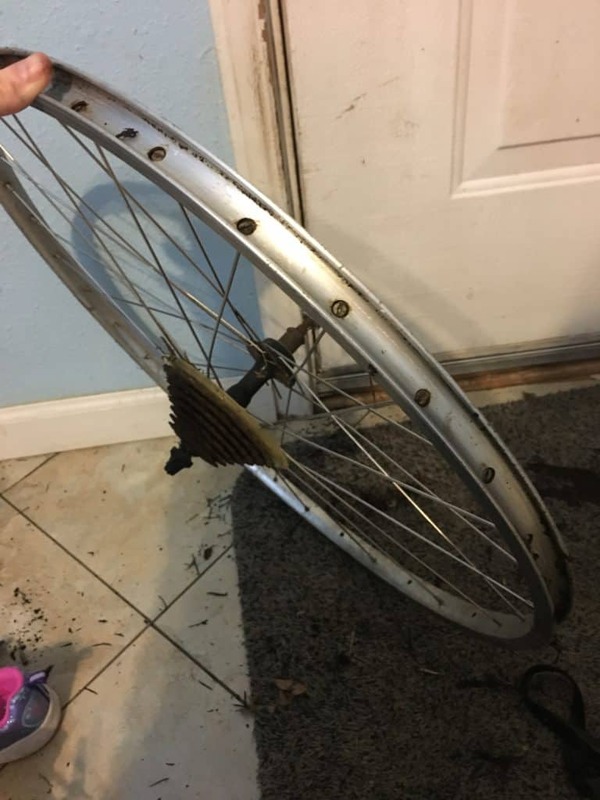 Since this wheel had been sitting outside for many years it was pretty nasty. I cleaned it up as best I could and used a wrench to try to remove all the components from the center of the wheel. Because a lot of the metal was rusted it was really hard to remove so I ended up leaving a lot of it intact. I used fake flowers for this wreath because I wanted it to last longer than a day and because there is nothing blooming in the garden yet this year. 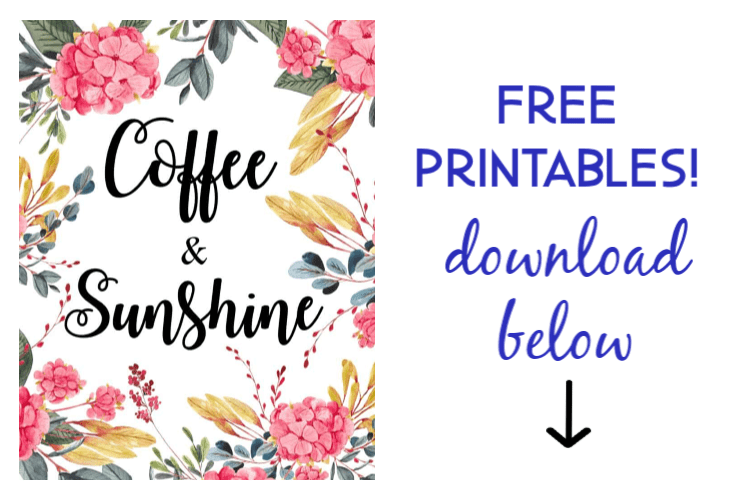 I already had some flowers in my craft stash and I got the rest from the dollar store. I began by wrapping fake ivy around one side of the wheel rim. 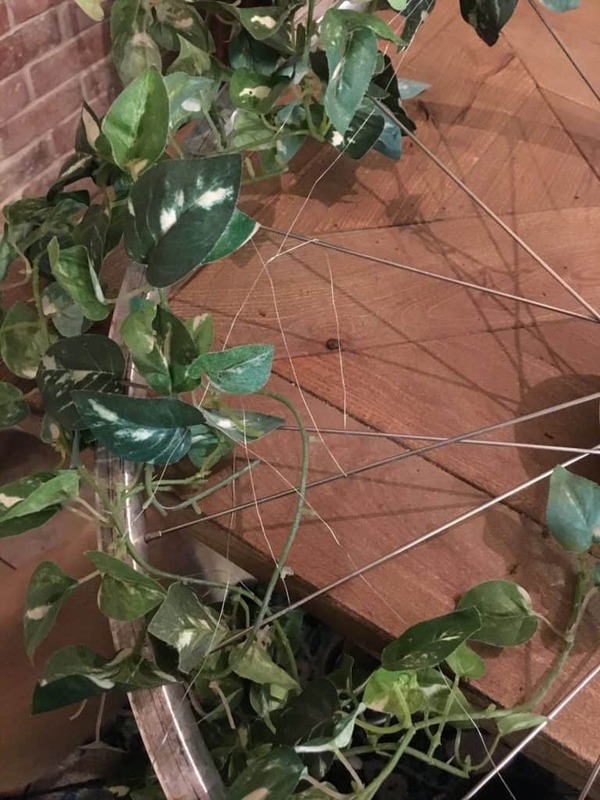 Then I wrapped 22 gauge craft wire around the spokes on one side to help the rest of the flowers stay in place by having something to poke the stems into. I placed the biggest flowers first and then filled in with hydrangeas. Then I added the smaller flowers and the ferns. You can see that I made the middle area the thickest and made it skinnier as I branched out. It makes the flowers in the shape of crescent moon. Once you have all the flowers in place to your liking (you may need to use some hot glue to hold them in place) Hang the wreath from a string and admire your work. I hung mine in the dining room. It’s hard to hang things from the brick so I screwed a hook into the ceiling. 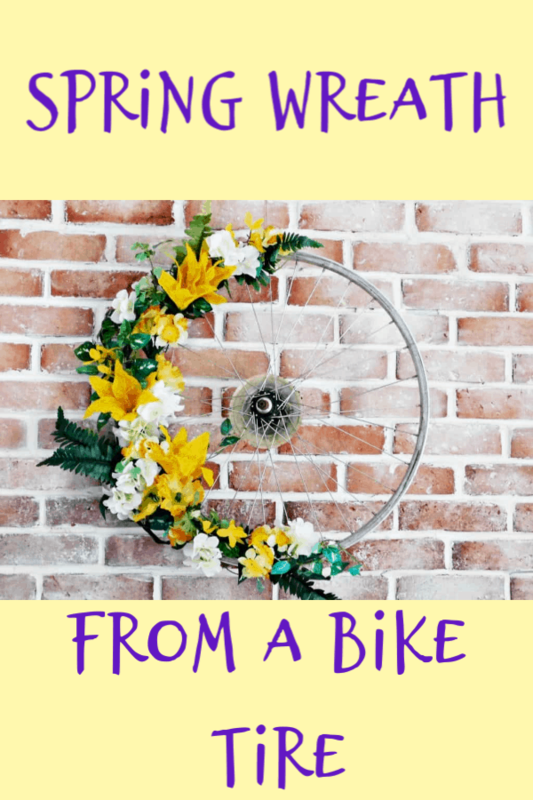 You can make different themed bike wreaths depending on the season like this Christmas one. What do you think? 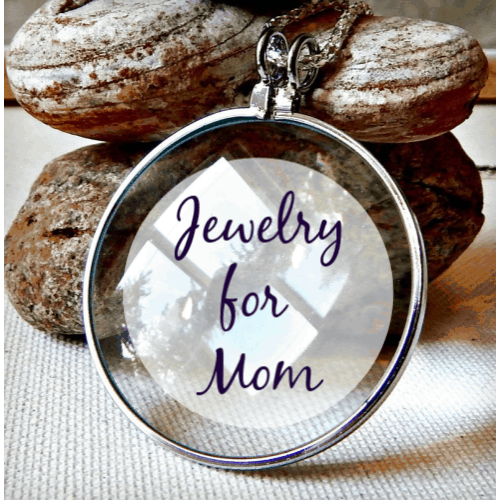 What spring crafts are you working on this season? i Recycle things to,this is so cool. that looks so cute and easy to make it!